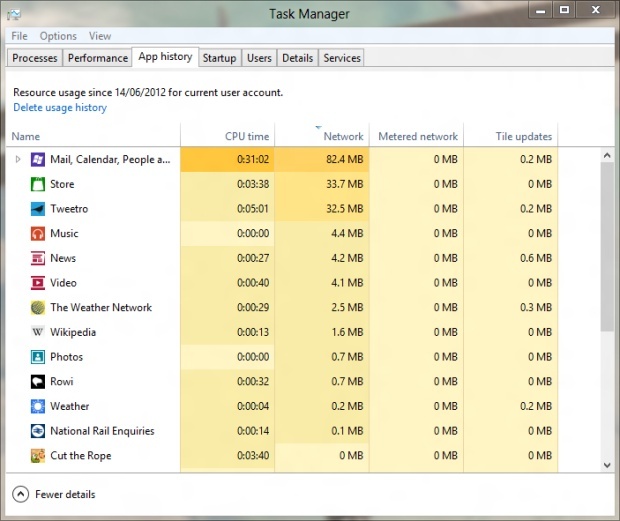 One of the features of Windows 8 is that it saves a history of the metro applications you launch on your computer just like most browsers save your web history. Once you close a metro application, it doesn’t close completely. This allows you to re-open the applications again much faster. However you should consider cleaning your application history to enhance the performance of your PC. 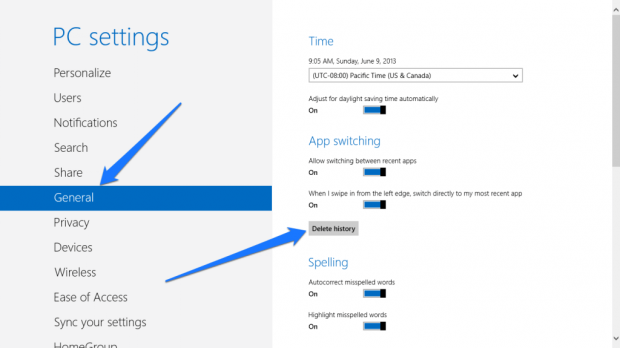 The steps below illustrate how can you delete your application history. Step 3 : Once the tab opens, click “Delete History” under App Switching and you’re done! The application history is now cleared. So once you’re done with the steps, you’ll recognize that your application switching list is empty and all 3rd party apps that were running in the background are closed.